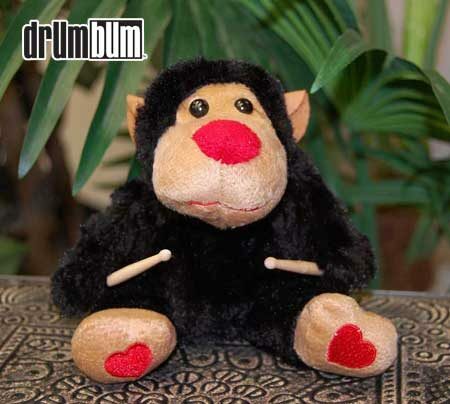 Cute Gorilla with Hearts & Drumsticks – They’ll go ape over this! If you’re in need of a special gift for your loved one for Valentine’s Day, how about a cute little gorilla with hearts on his feet to warm the occasion? Sitting down, this fluffy little drummer ape measures approximately 5.5″ high. He’s ready to play and show how his heart “beats” for you! The perfect Valentine’s Day gift for drummers or any musician!